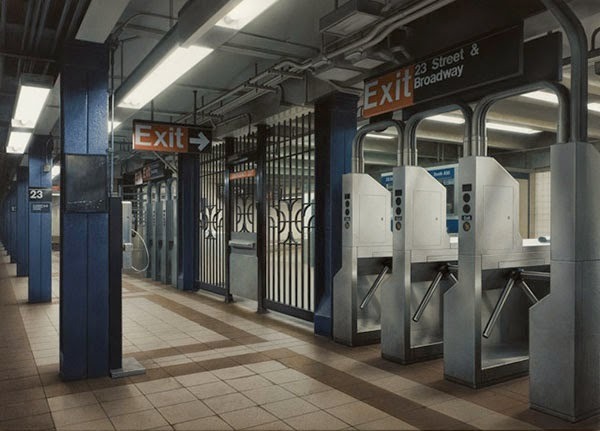 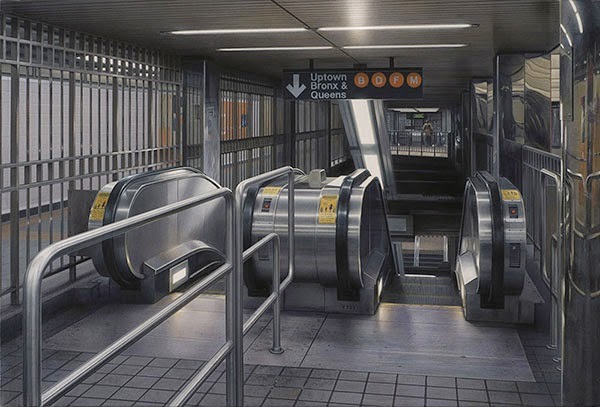 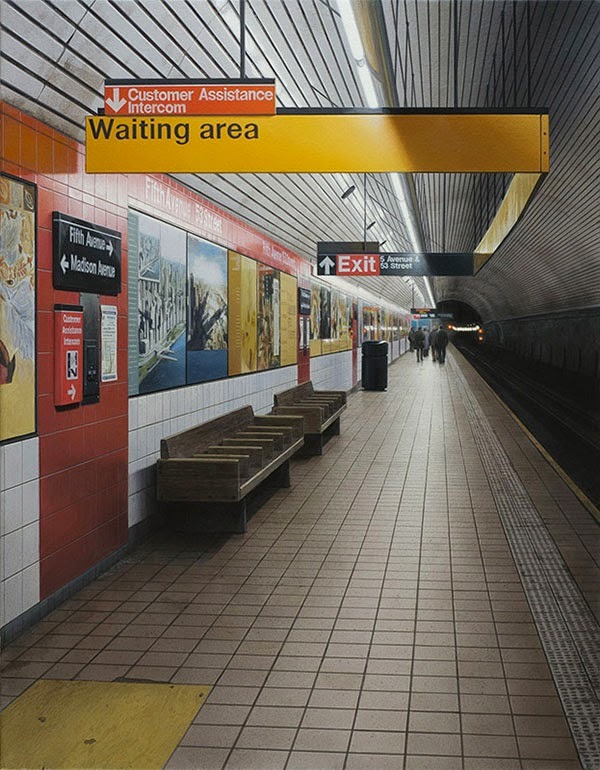 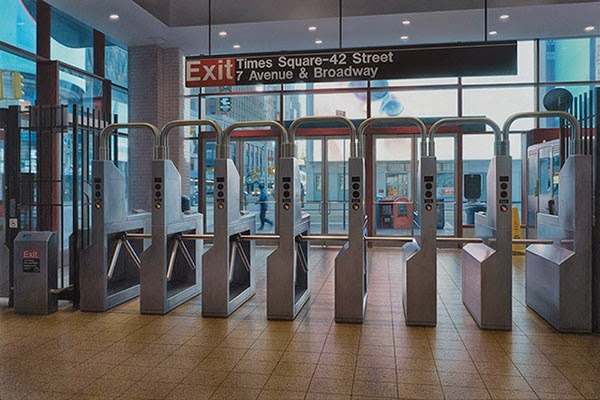 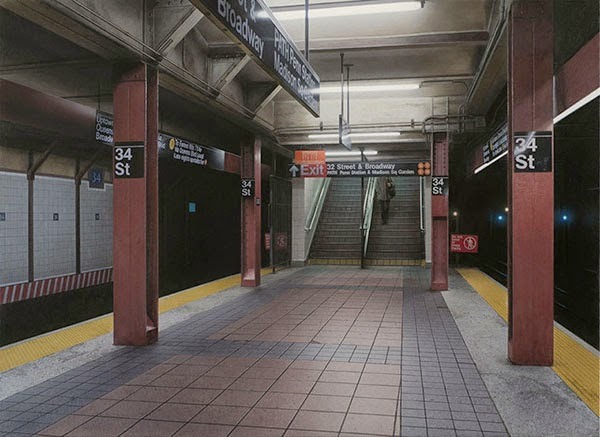 Photorealistic paintings focusing on New York's subway system using perspective as a compositional technique. 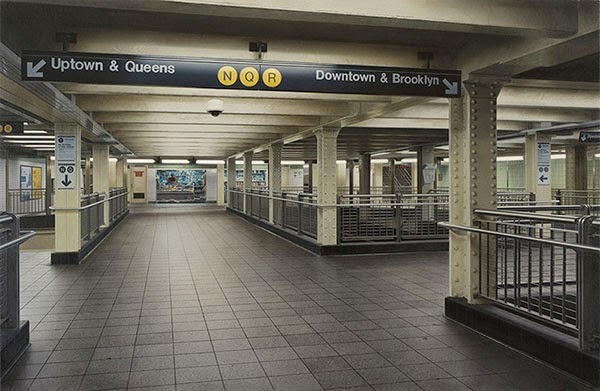 In America there are ordinary scenes of extraordinary quality. 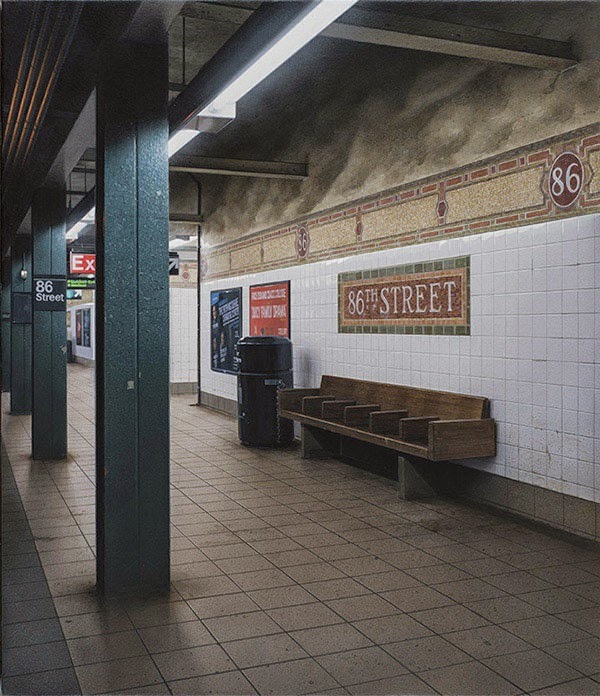 When I first walked the suburbs, I was fascinated by the empty space—something that Japan doesn't have-that felt like suddenly being freed from an enclosure. 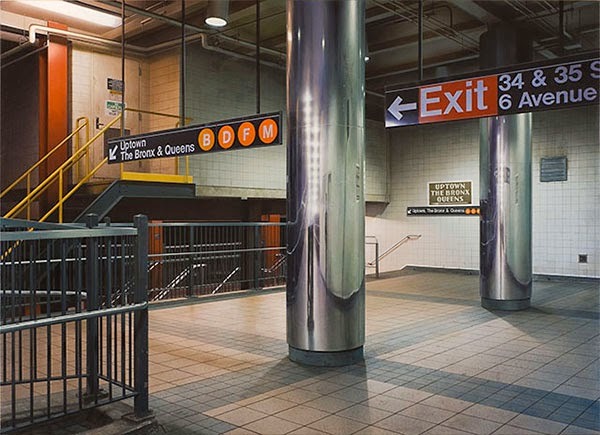 I was sure that what I was looking for was here, and from that point America came to dominate my everyday scenes.